NORRA: NORRA 2018 RA12 - 2018 YOKOHAMA NORRA Mexican 1000 - NORRA & LeadNav Work To Improve Navigation & Safety - 2018 Files Posted For Download! NORRA and LeadNav have again worked together to improve navigation and safety at this year's 2018 YOKOHAMA NORRA Mexican 1000. We have transferred the 2018 Rally Road Book, note by note, into LeadNav which will provide you with audio and visual alerts during the entire race when using our system. NORRA has rally support and GPS Training sessions on Saturday the 21st at Riviera Convention Center (Theater) from 12noon-2PM. 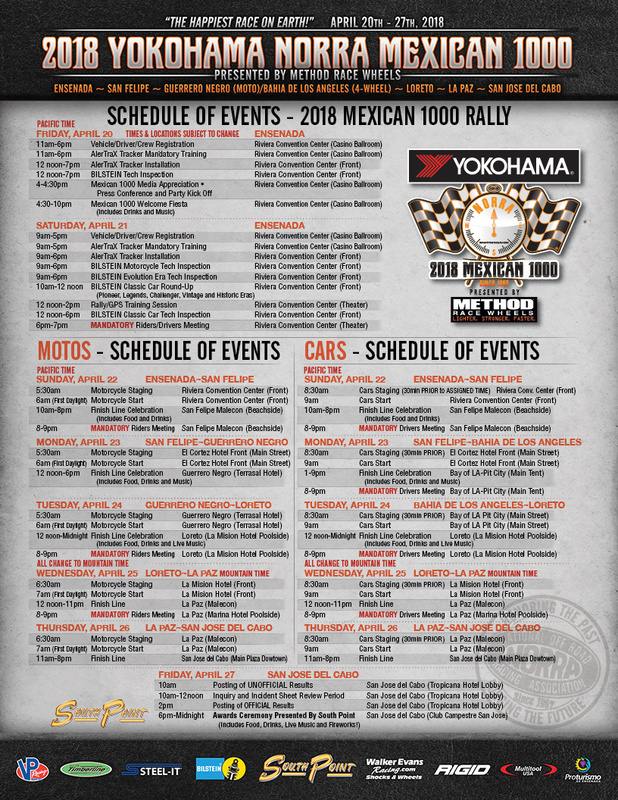 Representatives will be on-hand to offer technical support and make sure all of NORRA’s Mexican 1000 race teams are ready for a fun-filled adventure to the finish line in San Jose Del Cabo.